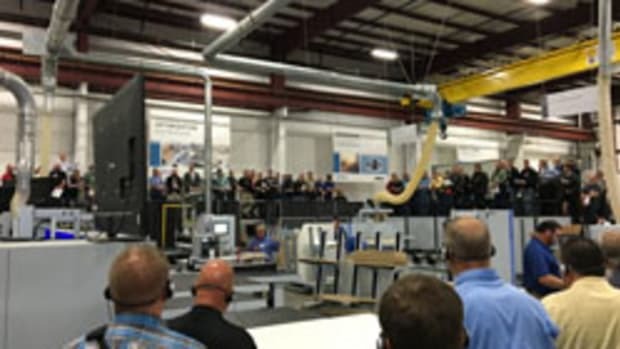 Attendees listen to Elliot Germany of Panel Specialists Inc.
Stiles Machinery recently gathered over 120 industry professionals for three days of comprehensive education and training on the latest software and digital solutions. 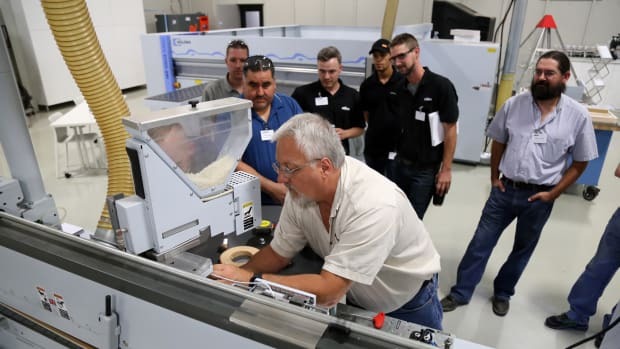 Held at Stiles’ Southeast Region showroom and the Guilford Technical Community College in High Point, N.C., the event also introduced the distributor’s new training program, START. 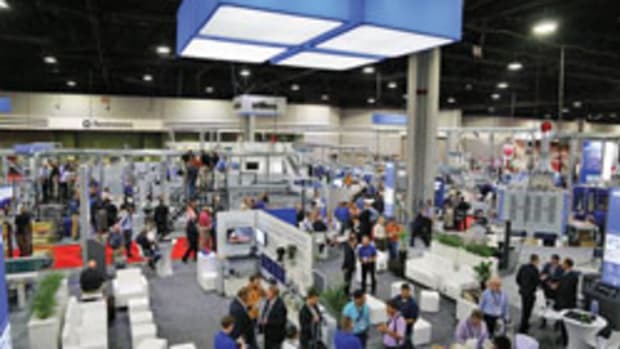 START stands for Solutions, Trends, Applications and Readiness Training. 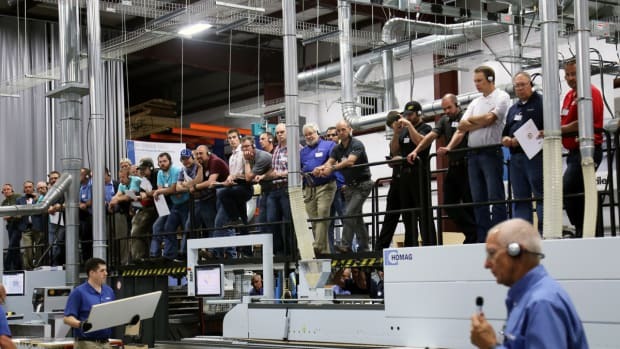 The program’s debut focused on the latest Industry 4.0 and advanced manufacturing trends, with an emphasis on software and digital technology for the woodworking industry. 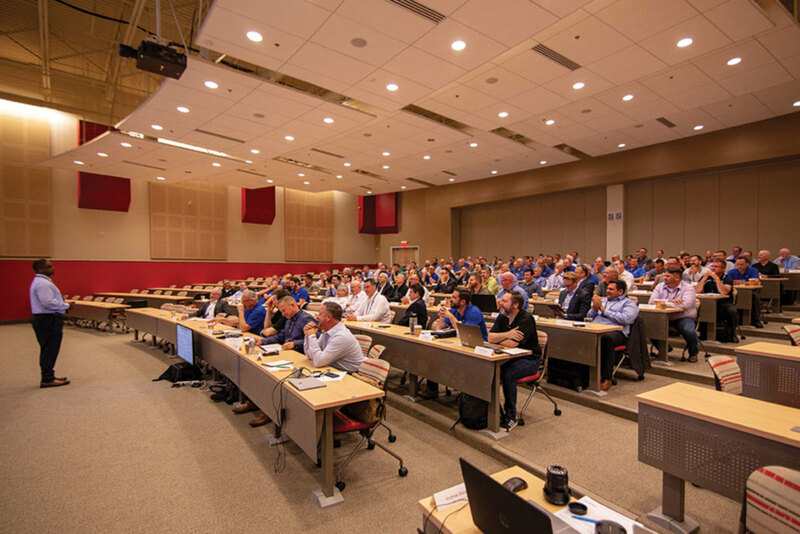 Attendees also heard from Marc Sanderson of Innergy, an Enterprise Resource Planning (ERP) solution provider for the woodworking industry, and Elliot Germany of Panel Specialists Inc. 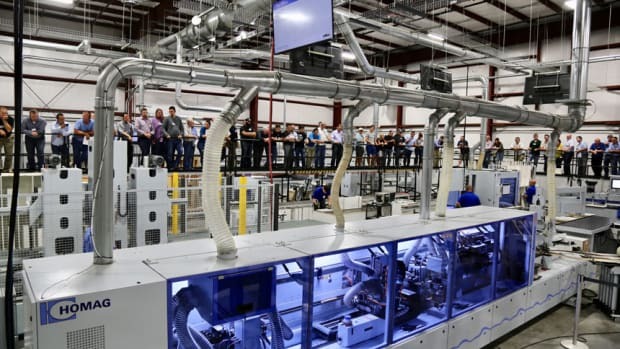 Both speakers provided examples of how the latest digital innovations are shaping their businesses and the manufacturing industry. Consultants were also on hand from RSA Solutions, a software provider.